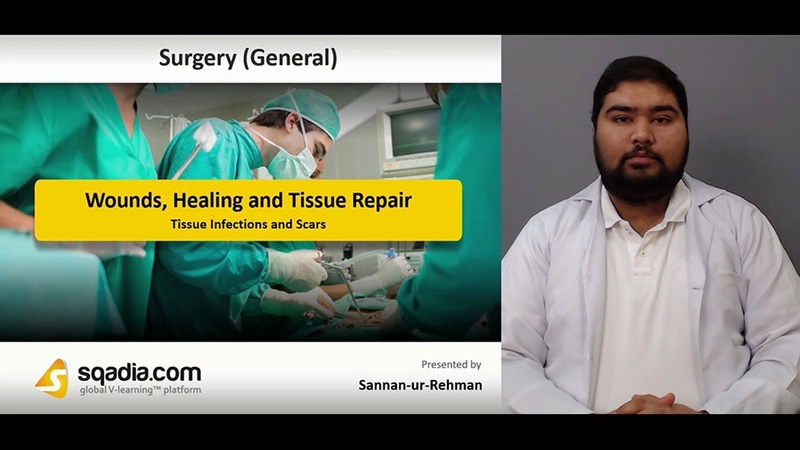 The focal point of this lecture is to elucidate Wounds, Healing and Tissue Repair. At first, educator talks about factors influencing healing of wounds and phases involved in it. Next, types of wounds are elaborated in detail along with degloving, bites, and puncture wounds. Moreover, compartment syndrome is illuminated. Carrying on with discussion, Staging of pressure sores is focused. Lastly, necrotising infection comes under consideration.